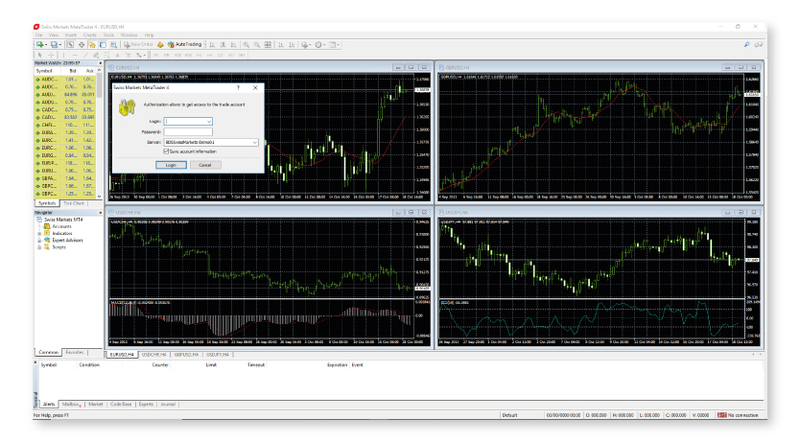 The Swiss Markets Forex MT4 platform is packed with a wide array of technical analysis and charting tools to meet the needs of any trader wishing to trade the financial markets. 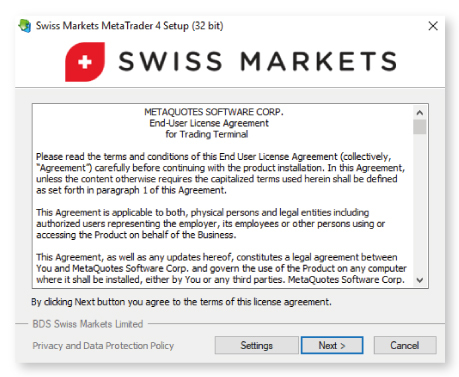 Featuring more than 250 assets including forex pairs, metals, energies, cryptocurrencies, indices and equities; the Swiss Markets MT4 platform is available to all our Windows users, downloadable directly to your computer in just a few simple steps. 2. After the download has finished, the installation window should open automatically. If this doesn’t happen, please navigate to your “Downloads” folder and double-click on the file. 3. In the next step, please read the license agreement and agree to it by clicking on the checkbox.Click “Next” and wait until the installation process is finished. 4. 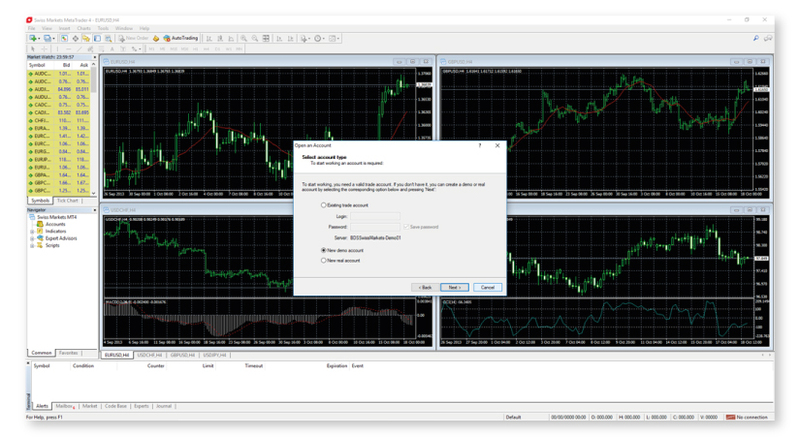 Now click on “Finish” in the installation window and wait for a moment until the BDSwiss Forex MT4 Trading Platform opens. Once it appears, click “Cancel” on the Server Finder window as shown below.